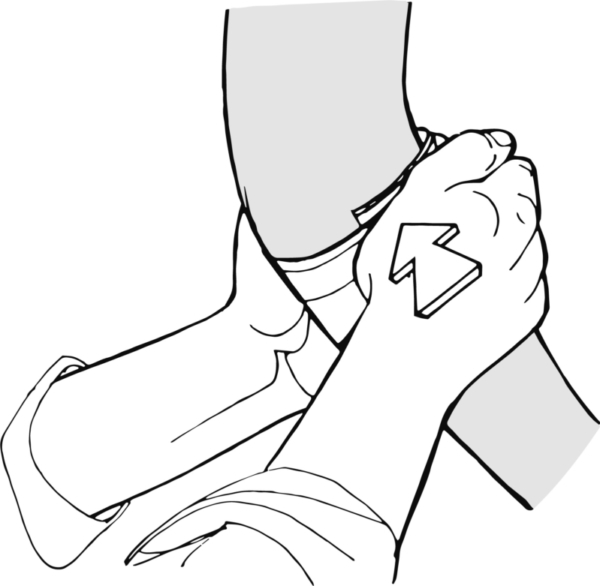 Prevention, or treatment of chronic tennis elbow. 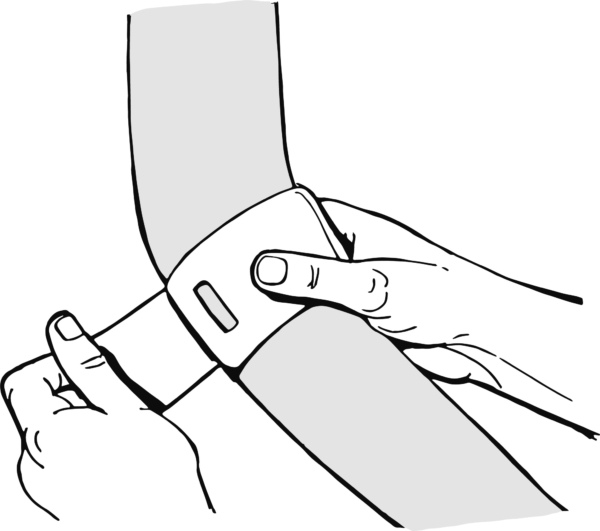 Place the pattern around the forearm, just distal to the muscle insertion site. 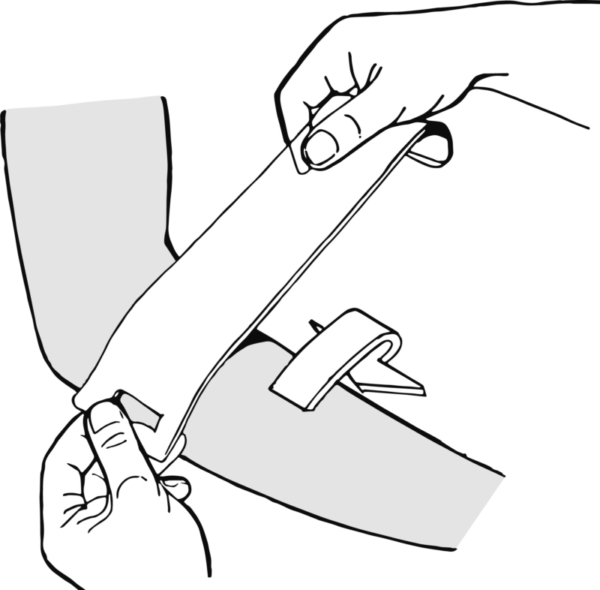 Wrap the pattern around the forearm. 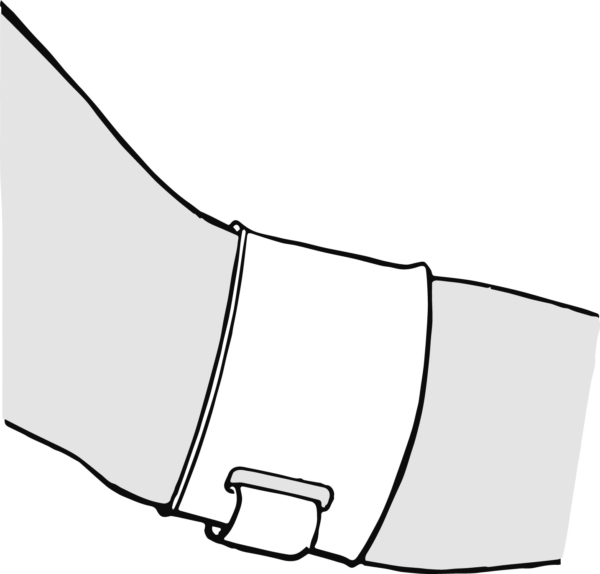 Give the ring a flattened shape by applying selective pressure with the thenar muscle (right hand in the illustration) on the area shown until the material is cooled. 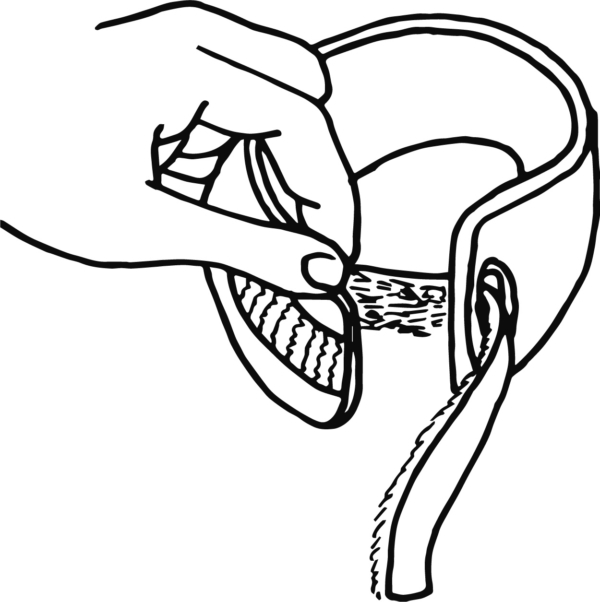 Fixation: Affix a piece of hook tape to the rear and the front of the ring (using dry heat). Insert the loop tape in the slot and affix to the hook tapes. 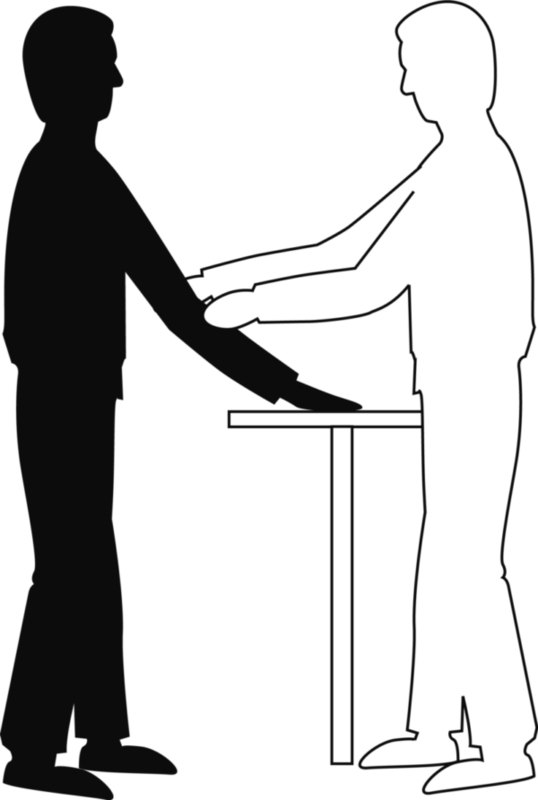 Finishing: Ensure the edges have been curved outwards.